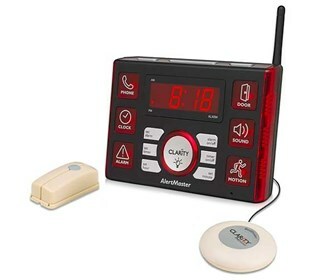 The Clarity AL10 AlertMaster Visual Notification System provides alerts to telephone calls and the doorbell. 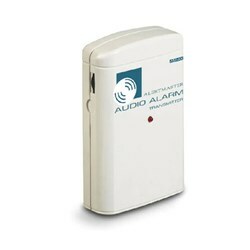 The Clarity AL10 has optional accessories that can alert you to an audio alarm, a crying baby or the presence of an intruder. 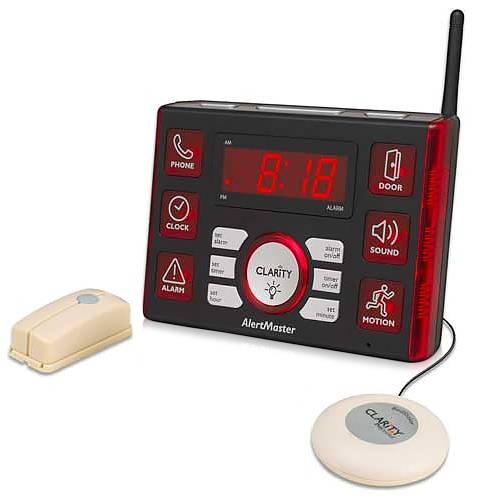 The Clarity AL10 includes a powerful bed shaker for night-time notification, a wireless doorbell, distinct flashing patterns and lighted icons on unit help you distinguish between the telephone and the doorbell. The Clarity AL10 is an ideal solution for those with a moderate-to-severe hearing loss who wish to have visual notification. The Clarity AL10 has many exciting features for users of all types. It's one of FactoryOutletStore's best selling Amplified Cell Phone Accessories. You can extend the lifetime of your Clarity AL10 with the purchase of a FactoryOutletStore Factory Protection Plan. See the Clarity AL10 gallery images above for more product views. FactoryOutletStore stocks a full line of accessories like Audio Alarm Monitor, Clarity Wake Assure, and Notification System for the Clarity AL10. The Clarity AL10 is sold as a Brand New Unopened Item.